A minor who was allegedly abducted from her home state in southern Nigeria and transported to a northern state seven months ago was reunited with her mother on 2 March at a police station in the capital city, Abuja and flown home. Fourteen year old Ese Rita Oruru from Opolo in Yenagoa, Bayelsa State was allegedly abducted on 12 August 2015 by Yunusa Dahiru, also known as “Yellow”, who was a regular customer at her mother’s food store. Dahiru is reported to have sold his three-wheel taxi and used the proceeds to transport Ese, then aged 13, over 800 miles north to Kano State, where she was obliged to change her religion and name, and was “married”. Ese was released on 29 March, 24 hours after the local newspaper Punch launched a #FreeEse campaign that resonated with Nigerians across social media both at home and abroad. Her family sought the assistance of the press and local NGOs after failing to secure her release on several occasions. During the first attempt on 15 August 2015, her mother Mrs Rose Oruru travelled to Dahiru home area in Kano State, where the village chief insulted her, informing her that her daughter had converted to Islam, changed her name to Aisha, was now “married” and was in the custody of the Emir of Kano, Sanusi Lamido Sanusi II. At the emir’s palace Mrs Oruru was insulted and assaulted on at least two occasions by irate youth, was refused direct access to her daughter despite being accompanied by police officers and was eventually told by the Kano Criminal Investigation Department (CID) to return to her home and report the situation to the Yenagoa CID. Subsequent attempts to secure Ese’s release proved abortive until the campaign went viral. On 1 March, she was flown to Abuja and reunited with her mother the following day. Dahiru is currently under arrest and is likely to face trial in Yenagoa. In a briefing to the Governor of Bayelsa her father, Mr Charles Oruru, confirmed that Ese is five months pregnant. Under Nigerian law anyone below the age of 18 is a minor. Additionally, Nigeria’s Child Rights Act stipulates a fine of N500000 (around £1800), a five year prison sentence, or both for anyone involved in child betrothal and child marriage. The Act also specifies a 10 year sentence for abducting child from lawful custody if the abductee remains in Nigeria and a maximum life term for sexual relations with children. Ese’s case has highlighted longstanding concerns about the abduction, forced conversion and forcible marriage of non-Muslim minors, which is particularly prevalent in rural areas of Shari’a states. Parents seeking the release of abducted daughters are generally informed they have converted, married and are in the custody of local traditional rulers. Appeals to law enforcement agencies for assistance generally prove ineffective amidst assertions by abductors that the girls are not minors. In the wake of the publicity surrounding Ese’s case, another has emerged involving 15 year-old Patience Paul, who was also allegedly abducted on 12 August 2015 by two neighbours accompanied by the Hisba (Shari’a enforcement) group in Gidan Kukah in the Runjin Sambo area of Sokoto. Nigerian media sources report that following a complaint lodged by her brother, her abductors reportedly informed the police they had taken Patience to the palace of the Sultan of Sokoto, and the family was advised to “go away and maintain the peace.” Following publicity, the Sokoto State Human Rights Commission was reported to have initiated an investigation into Patience’s disappearance and was asking her family to make contact “for a detailed briefing” into the allegations. 1. CSW has documented several cases of alleged child abduction. In February 2013, the daughter of a policeman stationed in Katsina State was abducted and eventually taken to the Emir of Katsina’s palace. The policeman managed to rescue her two weeks later, and sent her to his home state of Taraba as a precaution. In 2009, CSW was informed of the case of Rahab Iliya, a minor who attended an Anglican Church in Gidan Tati, Yayabakwai, in Kano State. She was working as a nanny, when at some point between December 2008-January 2009 she went out and was arrested by the Hisba, who took her to the District Head (Hakimi). Once there, she was forcibly converted and married to a Muslim man. A similar incident occurred in Kano in the case of an orphaned girl during the same year. During 2009, CSW was also informed the abduction of women and girls from the Kambari tribe in remote villages in Yauri Emirate, Kebbi State occurred regularly. In one instance, when the parents of an abducted girl complained to the Hakimi, he dismissed them, claiming he and his wife had become the girl’s parents. When the family attempted to report the case to the police, they were asked for N10, 000 (around US$ 63.00) before investigations would proceed. 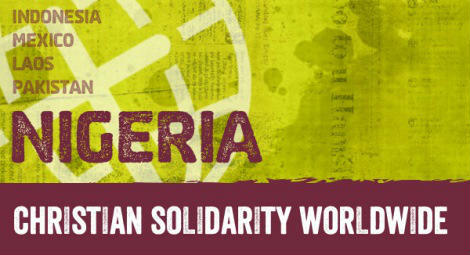 During 2006 there were over 100 cases involving the abduction of non-Muslim children in Katsina State alone. A visiting CSW team met Mr. Leonard Ossey Ago, an Igbo Christian whose eldest daughter, Cynthia, had been abducted in 2004 aged 15, and had been forcibly converted and married to a Muslim man against her will and without parental consent. Also in 2006, CSW helped to secure the release and return of a 16 year old non-Muslim girl who was abducted while living with her uncle in Zaria, Kaduna State, central Nigeria. She had been forced to become the fourth wife of a far older man.